The BHI is partnering with the Northampton Chamber of Commerce are hosting a “It’s Five O’Clock Now” ribbon cutting Thursday, May 23rd on the porch of the inn to officially kick off “peak” season in Cape Charles, a quaint coastal town nestled off the shore of the Chesapeake Bay. If you are reading this and are in town put your flips flops and Hawaiian shirt on and …come on by! As Inn Keepers Jim and I are bracing ourselves for what we hope to be a productive and exciting season. 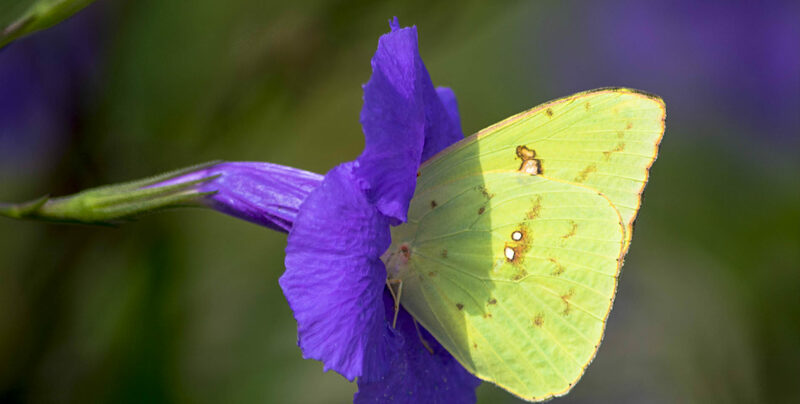 Spring has been very steady and we have already met many wonderfully kind and interesting people. 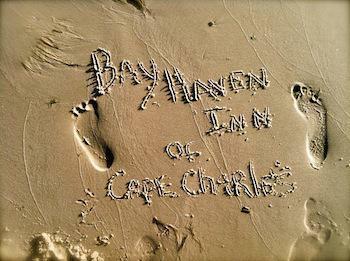 Many have left their footprints in the sandy beach of Cape Charles and are planning a return visit! We have planted our vegetable and herb gardens steps from our kitchen so that we can serve the freshest produce to our guests. We continue to develop, practice and sample (tough job 🙂 new recipes and have definitely found some guest favorites already! We sure hope will be able to see some of our friends and family as “guests” this summer to enjoy our “little piece of paradise” (as our most recent guests called it) and we hope to make new friends as guests enjoy a relaxing escape at the Bay Haven Inn.